Gbarnga – Bong County was the center of attraction over the weekend when five high schools stomped the Tubman Gray sports gymnasium in the 2018 edition of the Harold Emmett McGowan Upcountry Basketball Tournament. The Upcountry Basketball tournament renamed the Harold Emmett McGowan, was initiated in the early 1970’s to help promote the game among high schools of the central region, which then comprised of Bong, Lofa and Nimba Counties. The basketball challenge also served as a catalyst for academic excellence, discipline and growth of the sport at the national level. This year’s event celebrated under the theme “Providing Equal Opportunity through Sports” was graced by the United States-based honoree and his wife Affua Ajavon McGowan. It featured five high schools in a thrilling basketball competition in Gbarnga City, Bong County. Host Tubman Gray High School and St. Martin represented Bong County while Zorzor Central High and Lutheran Training Institution traveled from far away Lofa County and C.H. Dewey High School was Bomi County’s lone representative. The games designed in a round robin fixtures commenced on Friday, November 10, 2018. It attracted the attention of many especially young people who were seen trooping at the games’ venue to catch a glimpse of the country’s 2rd most popular sport. In the day’s first basketball match, Tubman Gray High School took a 20 – 1 point lead to beat Lutheran Training Institute at the jammed packed T – Gray Sports gymnasium. Ganta United Methodist forfeited to Zorzor Central High due to an eleventh-hour withdrawal from the competition. St. Martin Catholic High School demolished Zorzor Central High of Lofa 46 to 11 points while C.H. Dewey of Bomi pulled out of her 2nd match against Tubman – Gray in the last minute after trailing at 30 to 32 points on counts of cheating. In the semi-final fixtures, Tubman Gray trashed Zorzor Central High 41 to 38 points to advance to Grand Finale while St. Martin in her quest for the championship demolished Lutheran Training Institute 60 to 20 to proceed to the Grand Final of the tournament thus making it an all Bong affairs. Lutheran Training Institute of Lofa narrowly pinned their neighbor Zorzor Central High 22 to points to win the 3rd place. And in the Grand Finale, St. Martin High School came from a 4-0 deficit to put up a surprising 26 to 24 points victory against host Tubman Gray High school in a dramatic basketball final at an energized and jammed packed Tubman Gray Sports gymnasium. T-Gray failed to continue their lead due to lack of coordination coupled with failure to make use of their free throws, a situation their opponent took advantage of to frustrate them in her own backyard. The win marks St. Martins fourth (4th) Championship after winning the crown in 1987, 1988, 2012 and 2018 respectively. While Tubman Gray failed to boost her Upcountry Basketball record since she won it once in 1985. In the exhibition matches which was aimed at adding flavor to the event, Paynesville Old Timers beat Bong Shooters 22 to 18 points while Tubman Gray’s girls beat St. Martin 4-0. 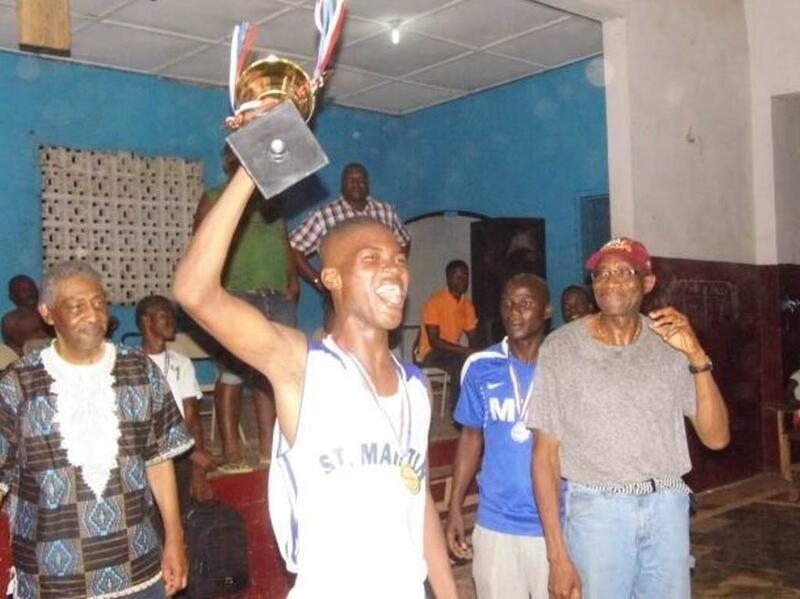 Meanwhile, Samson Jallah of St. Martin was decorated with the Most Valuable Player Award while Alvin Dogba of T-Gray won the Most Talented Player Award and Zorzor High’s William J. Kollie got the highest rebound award to climax all of the Harold McGowan Upcountry Basketball festival in Central Liberia. 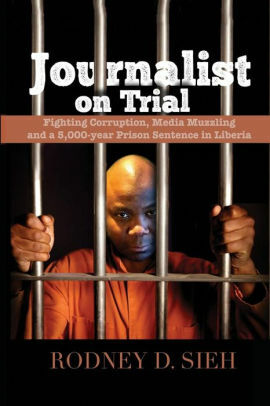 Serving as keynote speaker, Deputy Youth and Sports Minister for Administration, Audrin Smith-Forbes, congratulated Harold Mcgowan for his innovation and services to Liberia when the country needed him most. Mrs. Smith-Forbes added that the honoree’s combination of sports and education in promoting academic excellence and character is a model that has made significant impact in the lives of many and the country-at-large. She asserted that it is in this vein that the CDC-led government will continue to support the program in order to provide the positive incentives for the youthful community while building the character, leadership and health amongst others. Presenting the awards to the athletes, the former American Peace Corps and Basketball Coach, Harold Emmett McGowan, expressed joy over good sportsmanship exhibited during the course of the tournament. Mr. McGowan thanked the schools, players, technical staff and especially the Ministry of Youth and Sports for the manner in which the event has grown over the years. He also challenged the athletes to continue to use the sport to excel and become more disciplined and productive for the betterment of the Liberian Society. Also speaking, Deputy Youth and Sports Minister G. Andy Quamie thanked the American embassy, the schools’ administrators and the students for making this year’s event a massive success. Deputy Minister Quamie emphasized that overwhelming turn out at the games is a demonstration that the young people are willing to take advantage of the opportunity to excel which has motivated his staff to ensure that the event becomes better every year.